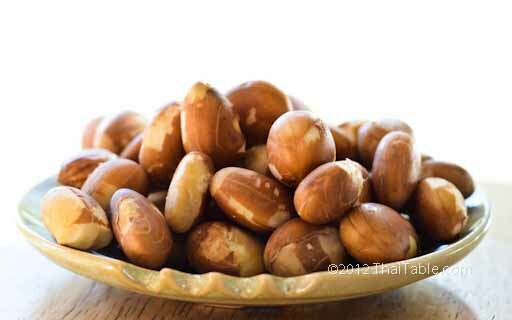 Boiled jackfruit seeds are a plain and simple snack that is made at home. I don't recall seeing the seeds for sale on the street. When you prepare ripe jackfruit, each pocket of the yellow fleshy "fruit" surrounds a large seed. That seed is edible, once cooked and peeled. The simplest preparation is just to boil the seed and peel the thin husk. 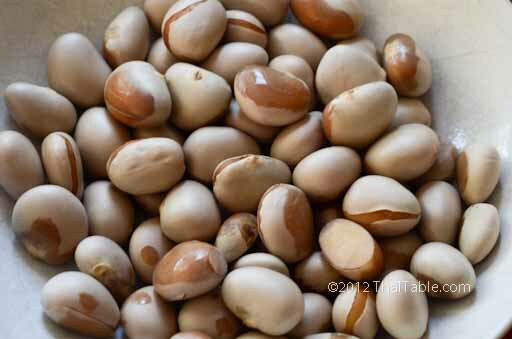 The boiled seeds taste like a combination of boiled potato and taro. It's soft and creamy. You can enjoy them plain! 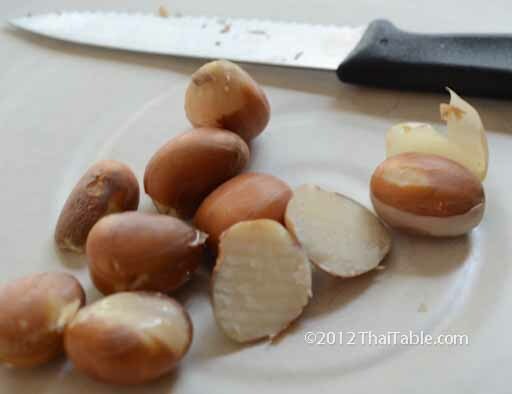 Add the jackfruit seeds to a pot. 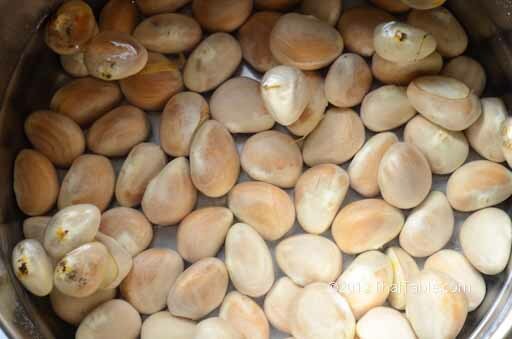 Pour enough water to cover jackfruit seeds with an inch of water above the seeds. Bring the water and seeds to a boil. Lower the heat and cover the pot. 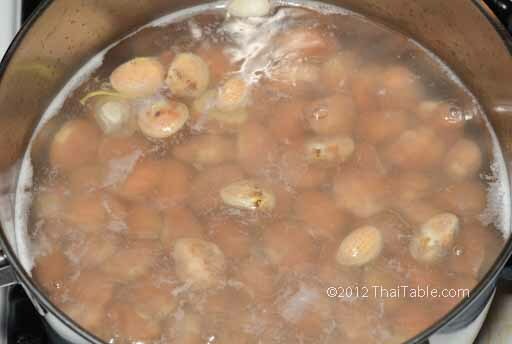 Let the seeds boil for 25-30 minutes or until soft. Check for doneness by pushing a knife/fork/tooth pick. It should go in easily, similar to a cooked potato. To peel, first let the seeds drain and dry. Wet seeds are very slippery and difficult to handle. The skin covering the seed is thick, similar to shrink wrapped plastic. Some seeds crack open making it easier to peel with your fingernails, but others might need help with a knife. Be careful when you peel, the skin can be sharp, like hard plastic. When you peel away the outer, white skin, you can leave the thin, brown layer underneath because it is edible. The flesh inside the seeds is off-white and should be soft and creamy like red potatoes. Enjoy!